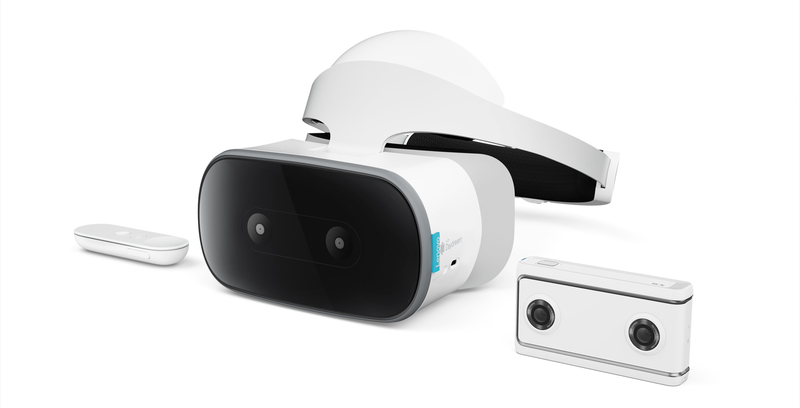 During the company’s CES 2018 press conference, Lenovo revealed the Mirage Solo, a standalone Google Daydream virtual reality (VR) headset that doesn’t require the use of a smartphone or being tethered to a high-end PC. According to Google, WorldSense is based on years of research in mapping, which enables PC-quality positional tracking on a mobile device without the use of the additional sensors that are required for room-scale tracking with the HTC Vive or the Oculus Rift. WorldSense allows users to duck, dodge, lean and step backwards, according to Google. While impressive, it’s unclear if Google’s version of room-scale VR is capable of rivalling the functionality of what other high-end virtual reality headsets offer. Google says that with the Mirage Solo, objects stay fixed in position, just as they would in the real-world, regardless of what direction the user turns their head. According to a press release about the Mirage Solo, the headset’s play space measures in at a diameter of around 1.5 meters (5 feet), which is significantly less than tethered headsets like the HTC Vive are capable of. It’s also worth noting that the Mirage Solo doesn’t come with fully-tracked motion controllers and instead includes the same motion-sensitive remote as Google’s Daydream View headsets. 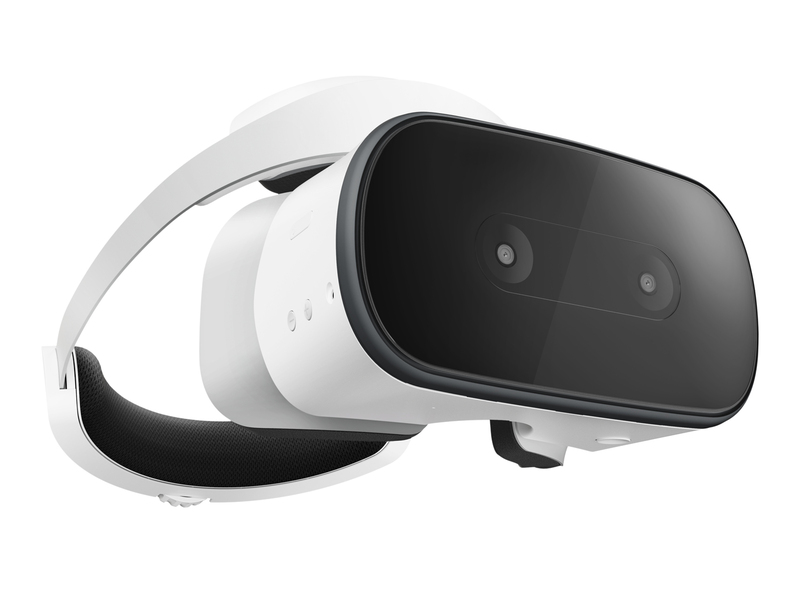 Given that the headset features two front-facing cameras, it’s possible that the Mirage Solo will be capable of hosting VR and AR experiences. The tech giant also says that the Mirage Solo has a “wide field of view” resulting in greater immersion, as well as a “blur-free display,” though doesn’t give specific details regarding these features. The headset will have access to Google’s Daydream platform and the company says it’s currently working with developers to add the Mirage Solo’s unique features to existing games and experiences. When it comes to new games, Google says a title based on the iconic Blade Runner universe called Blade Runner: Revelations, is currently in development. In terms of specs, the Mirage Solo is powered by Qualcomm’s Snapdragon 835 processor — the same processor featured in phones like the LG V30 and Pixel 2/Pixel 2 XL — along with 4GB of RAM. Battery life comes in at seven hours. Surprisingly, the headset also weights 645g, making it one of the heaviest VR devices on the market, though it does include a built-in display. 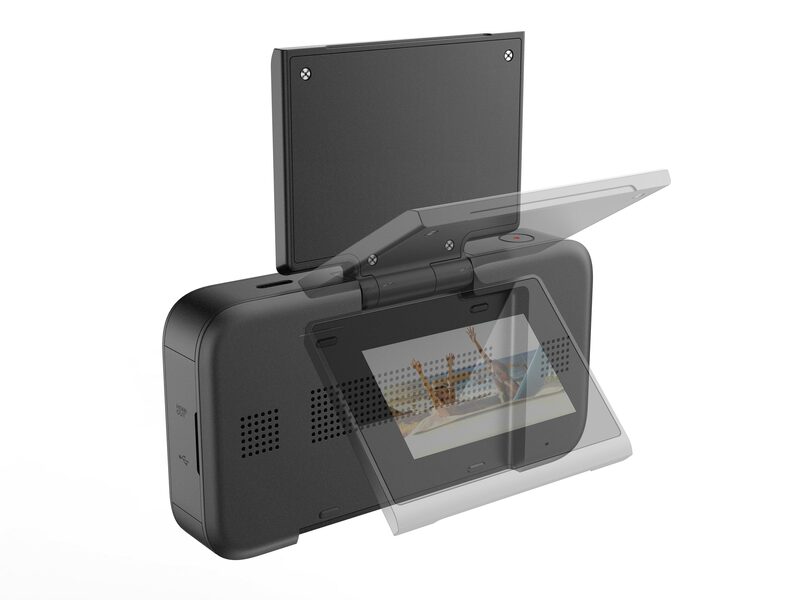 The headset’s display is a pair of 5.5-inch LCD screens with a resolution of 1280 x 1440 pixel resolution per eye. The Mirage Solo also features 64GB of storage and a microSD card slot for additional space. In terms of design, the Mirage Solo’s black and white aesthetic is a significant departure from Daydream’s fabric covered look. The headset has more in common with Sony’s PlayStation VR or even the Oculus Rift, than past Daydream devices. The Lenovo Mirage Solo is set to launch in the second quarter of 2018 for $449 USD (about $559 CAD). It’s unclear if the headset will launch in the U.S. and Canada simultaneously, but we’ve reached out to Google for clarification regarding a specific Canadian release date and pricing. 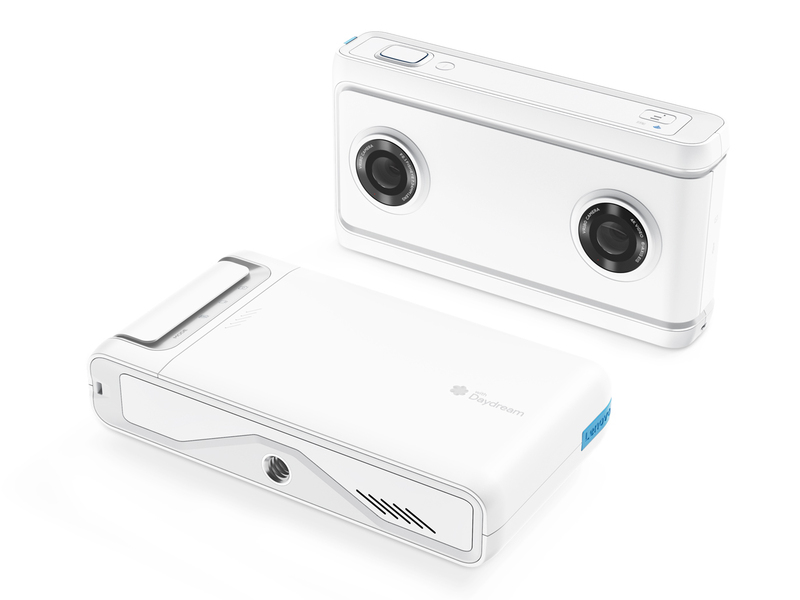 Along with the Lenovo Mirage Solo, Google also revealed its new VR180 camera platform. VR180 cameras are set to launch in the coming months and will include different features, with some even being capable of livestreaming, according to Google. Content produced with VR180 devices can be viewed directly on the company’s Daydream platform. The Lenovo Mirage Camera and YI Technology’s YI Horizon VR180 Camera are set to hit store shelves this coming spring, and a camera from LG will arrive later this year, according to Google. On the professional side of things, the Z Cam K1 Pro recently launched, and Panasonic is building VR180 support for the company’s just-announced GH5 cameras with a new accessory. Lenovo’s Mirage Camera features two 13-megapixel fisheye lens cameras that are capable of capturing stereoscopic images in what the company is calling “super-wide-angle 3D footage.” The Mirage Solo is also capable of shooting 4K video at 30 frames per second. The camera is set to be priced at $299 USD (about $372 CAD). The Yi Horizon VR180 camera features the ability to capture 5.7k resolution photos and video, 2.2-inch 640 x 360 retina touch screen, USB Type-C, a microphone designed with outdoor noise reduction in mind, and compatibility with YouTube and Google Photos.